Earlier this week I reviewed David Gaughran’s book, Let’s Get Visible: How to Get Noticed And Sell More Books. Recently I completed my first novel and I’m getting ready to self-publish it soon. 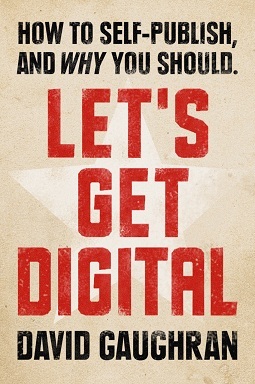 Last year I read David’s book, Let’s Get Digital, and enjoyed his take on self-publishing and why people should. Both of his books have helped me tremendously. They are honest, straightforward, and insightful. Neither makes promises of getting rich quick. After reading Let’s Get Visible, I contacted David to see if he would be willing to answer some questions. He graciously accepted. Without further ado, help me welcome David Gaughran. How did you come to the decision to self-publish? Like many self-publishers, I tried the traditional route and didn’t get anywhere. That was a soul-crushing experience – especially after an agent contacted me saying he loved my book and wished to represent me, then never returned any of my calls! I considered walking away from the business altogether. I had started another book, but had lost all my mojo. Around this time, Barry Eisler hit the headlines by walking away from a $500,000 offer and announced he was self-publishing instead. That really grabbed my attention and I took another look at self-publishing. What really gave me the courage to make the leap, though, was the incredible amount of people I discovered on KindleBoards who had never been traditionally published, but were now paying bills and making a living from writing for the very first time. What is the most important lesson you learned about the self-publishing business? Don’t waste any time chasing traditional exposure. It’s a big part of the typical writer fantasy: seeing your name in the papers or being interviewed about your work. But you know what? It doesn’t sell books. At least, it doesn’t sell e-books. It might have some minor effect on print sales – but you won’t see the full effect of that unless you have nationwide print distribution. I’ve been lucky enough to have appeared in some pretty big media venues and it has barely moved the sales needle – even a feature in a weekend paper in the UK with a circulation of millions barely had an effect. Talking with other writers, this is pretty normal. Traditional media doesn’t sell e-books. Appearing on a small blog will have a much greater effect. Self-publishers have a huge opportunity here. Large publishers are still pretty clueless when it comes to marketing e-books. If you are smart about marketing, you can really make inroads. We’re up against billion dollar companies and we’re eating their lunch! What advice do you have for writers who are just venturing into self-publishing? I think it was Seth Godin who said that the best marketing is designed into a product. For self-publishers this means having a great story, professional editing, clean formatting, a striking cover (that speaks to your genre), an enticing blurb, a killer opening, and a price that won’t make anyone hesitate. These aren’t sufficient conditions for success (or even necessary in some cases), but having a professional package will greatly increase your chances of making it. Conversely, if you don’t have those basics in place you are making it much difficult for yourself. It makes your book more attractive to prospective purchasers, but it also makes your book more shareable too – something which gets talked about less. Think about it. If you read a good book and it has a really crappy cover, you are kind of embarrassed to encourage others to read it and you have to preface your recommendation with multiple caveats, which never sounds good. Too many beginners skimp on editing or covers, and then waste money trying to market that book afterwards. You need to have the basics in place first or that marketing won’t be effective. That aside, it’s essential to get out there and network with other self-publishers. There are multiple Facebook groups and forums like KindleBoards where self-publishers share data, promo venues, and best practices. It also means you won’t get suckered into scammy operations like Author Solutions. 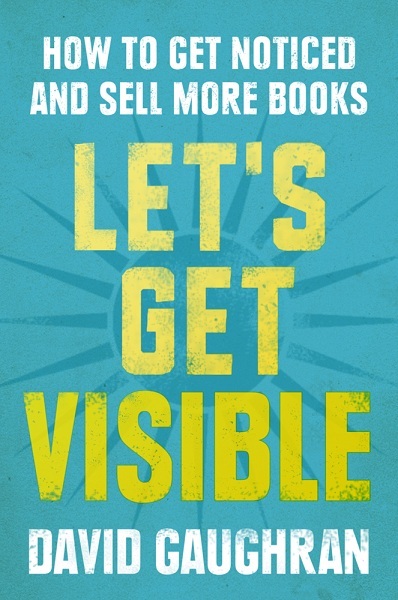 Your books, Let’s Get Digital, and now Let’s Get Visible, are selling well. In the Writing category on Amazon they are #1 and #2 respectively. What do you think contributes to your success? I use Amazon affiliate codes wherever I can, so I usually have a pretty good idea of what percentage of sales I’m driving directly, and what comes from elsewhere. People naturally assume that my blog drives a lot of sales. Here’s a secret: it doesn’t. Most months, the overwhelming majority of my sales come from people discovering my book one way or another on Amazon. I’m of the opinion that author platforms don’t really sell books, not in the ongoing sense that people think. However, they can really launch books –the difference is crucial. Hitting #1 and #2 in Writing was part of the launch plan, a strategy detailed in Let’s Get Visible called Spreading The Love. The theory behind it is that Amazon will push down a book resulting from a one-off sales spike just as quickly as it rose. But if you spread the love a little over three or four days, and hold at a consistent (lower) sales level for that time, Amazon will start recommending your book to its customers – doing the work for you. Given your success in self-publishing and your blog, how do you find time to write? Some people look at my blog and see I have two books out now for writers and think it was all some grand masterplan – which couldn’t be further from the truth. Digital was an accident of sorts. I had been blogging about all the various steps involved in self-publishing (as I was doing them for the first time myself) and my blog readers asked if I would put the advice together in a PDF for them to download when I was done. When I started compiling that, I figured that if I was going to write a book on the topic, I might as well do it properly. But I never thought it would make the impact it did, or sell like it did. Visible wasn’t planned either. For the last year, I had been trying to figure out the various algorithms that feed into Amazon’s giant recommendation engine – both to tweak my own marketing plans and to satisfy an intellectual curiosity. I had some vague notions of including any findings in an updated version of Let’s Get Digital, but it soon became clear that the topic was too complex for a mere addendum. Around the same time, NaNoWriMo was starting, so I just went for it – although I didn’t actually finish the book until May! I’m a slow writer, but I’m working hard on improving my productivity. Writing blogs, or tweeting, or marketing my books doesn’t take up too much time. The big time sinks are hanging out online shooting the breeze with other writers, or realizing that you have just spent the last three hours in the black hole that is Wikipedia when you were supposed to be checking one quick fact for your WIP. If blogging and marketing really were the main things holding writers back from producing more work, then we would see traditionally published authors being a lot more productive, but we don’t. It’s just that nobody wants to say that their book was delayed because they were looking at pictures of cats on Facebook. You write fiction and non-fiction. Do you have a preference? I find non-fiction easier (and quicker) but fiction is much more fulfilling. Maybe because it’s more challenging. The brain is funny like that. More seriously though, the kind of non-fiction I write is rewarding because the books aim to solve a specific problem or impart a specific piece of knowledge to help the reader towards a goal. I get emails from people when they self-publish their first, and they are so happy! And then that makes me happy because I remember sending off those same emails to the self-publishers who helped me when I was taking my first steps. It serves as a reminder that the greatest strength of this community is its openness and willingness to help others. Ultimately, though, fiction is where my heart is. It constantly amazes me that writers can invent entire worlds, populate them exclusively with creatures of their imagination, and then have those marionettes act out a story which teaches us something about love, hate, anger or regret. I guess reading a story is the biggest thrill of all: that of endless possibility. I would like to thank David for his time and for his wonderful answers. If any of you are considering self-publishing or are self-published and you haven’t read either of these books I encourage you to do so. Also, stop by his blog and say hi. He is always extremely friendly and helpful. 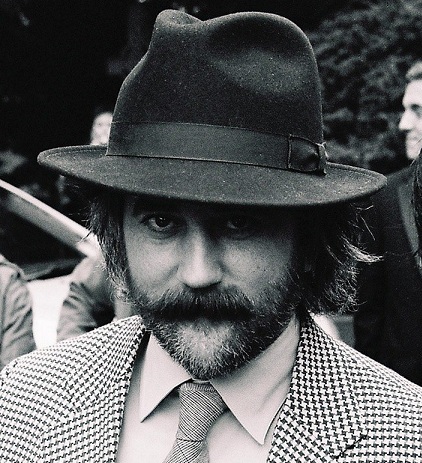 David Gaughran is an Irish writer, living in London, who spends most of his time travelling the world, collecting stories. He runs the publishing blog Let’s Get Digital, and his work has been featured in the Huffington Post, The Sunday Times, and the Irish Times. This entry was posted in Publishing and tagged Amazon, Amazon’s Algorithms, Barry Eisler, David Gaughran, ebooks, How To Sell Ebooks, Kindle Books, Kindle Store, KindleBoards, Let's Get Digital, Let's Get Visible, Publishing, Self-Publishing, Self-Publishing Strategies. Bookmark the permalink. thanks for your interesting article about self publishing strategies! I’m glad you enjoyed it. David is a wonderful and giving writer. Great interview!! So, what have you decided? Are you self publishing? Yep! All that’s left is formatting the ebook. You can say you were the first to get a review copy. Does that help? OK :). That sounds very important too!! And I can always sign your Kindle, Ipad, mobile, Nook … what am I missing? I have a Sony ereader, not a Kindle, but you were close :). Do you think I have too many??? dude you need a Kindle. I love my Kindle Fire and I’m not a techy. You’d love it. And you can never have too many! That is true – you can never have too many :). I contemplated getting a Kindle quite a few times, but Kindle uses a different format of ebook than most of the ones I have, so I have stuck with devices that use epub. Kindles are still considered at the top of the market though, that’s for sure. I’m glad you are enjoying yours. They can never totally replace books for me because I love collecting real books, but they help me feed my addition without going broke :). I’m finding the kindle is easier on my eyes. I’m getting older and the other day I mentioned I may need reading glasses. Grrr! You too eh? Thank goodness for fond size selection :). I’ve never worn glasses in my life, but I think I’m getting close too. You know what is the worst? Tiny medicine bottles. I can’t read a damn thing on the labels LOL!! I hope for the best when I reach for a medicine bottle. Can anyone read that print? If I’m in serious doubt, I’ll ask the pharmacist at the store. By the way, you knew I meant “font” right? Oops! I can’t really see the difference between d or t anyway. I don’t even own any. I squint a lot now. By the time you visit, I should have some good wrinkles. Oh good, we’ll both be squinting and wrinkly together. The only good thing for me is that my hubby’s eyes are even worse than mine LOL! Oh, I’m betting my eyes are worse than both of yours. I’m pretty much legally blind without my contacts. And now I need reading glasses on top of that. I started wearing glasses when I was nine. the kids called me schoolteacher. I wish you luck! And I’m curious to hear more about your book. David sounds like a pretty cool cat. Thanks for sharing this cool interview! I’m glad you liked it Robert. And I have your book on my review list. I’m hoping to review more self-published authors on my blog. Thanks! And I hope you get a chance to look at his blog and books. They are helpful. Thanks Susi! I’m glad you liked it. Pop over and say hi to David. He’s such a friendly and funny chap. Interesting interview – looking forward to reading your book when it comes out! Thanks! I loved David’s answers and each time I learn something new from him. Thanks for this info. It’s something I’ve also been curious about and this gives me more confidence to venture down the self published route! I’m looking forward to checking out your e-book when it’s released. What I like about his books is the fact that they are straightforward and honest. And he lessened my fear of self-publishing. I really recommend his books if you are thinking of it. And are you close to publishing? I would love to read your book! I think you would like it. If I remember correctly you want to use a traditional publisher, but the first book, Let’s Get Digital, has helpful tips in general not just for self-publishing. How’s your new project coming along? Hey TBM, thanks for posting the interview, and for your kind comments. If anyone has any questions about writing or publishing, I’m happy to answer them (or try at least!). That’s a great story. It must have been fate being stuck on 49 and then finally making it to #50. As you say, you never know what will happen in life. Thanks so much for the interview. I wish you the best of luck with all of your books and I have no doubt that your success will continue. i have no doubt your book will be a success. you are a gifted writer and photographer and as shown by your latest climb, a big brave courageous heart. Thank you very much for such kind words and support. it’s very inspiring. I am thinking of selfpublish too one day, but right now I learnibg to make a long story in my blog before really finishing my book. By the way, what is it about? Thanks Novroz. And I wish you luck with your writing. Soon all the details of my novel will be released. David’s book sounds like straight forward and easy to follow advice. So many books about self-publishing are just the opposite. Thanks Jackie. Currently I’m trying to locate all the pesky typos with help from others. The cover and the rest are all ready to go. I have no fixed opinion, to be honest. i think both are valid approaches and one doesn’t exclude the other. There are quite a few examples of books being self-published and then the uthors is discovered by an editor. I am really excited and to be honest, nervous. But no matter what, it will be a good learning experience. Just going through the editing process was incredible and I feel like I learned so much. And it made me appreciate editors more. Yes, I can imagine. Exciting and nervous. I hope it will work out just the way you wish. Thank you for sharing this information, and congratulations on completing your first novel!